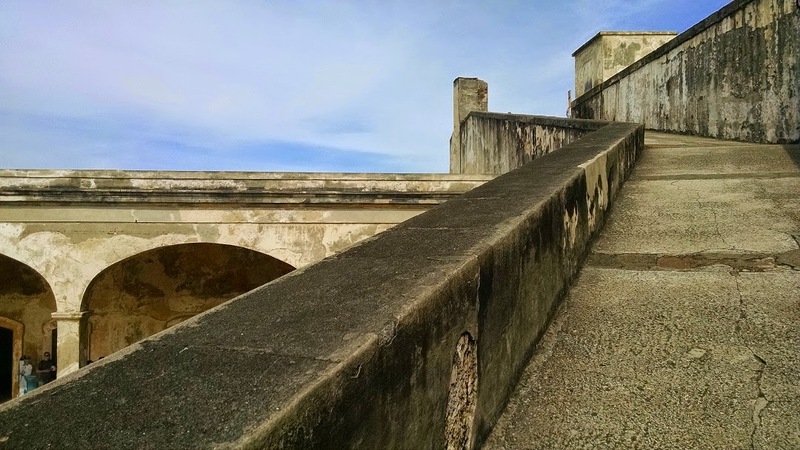 While we were in old San Juan (during early December 2014), we decided to visit the two forts there, El Morro and San Cristobal. 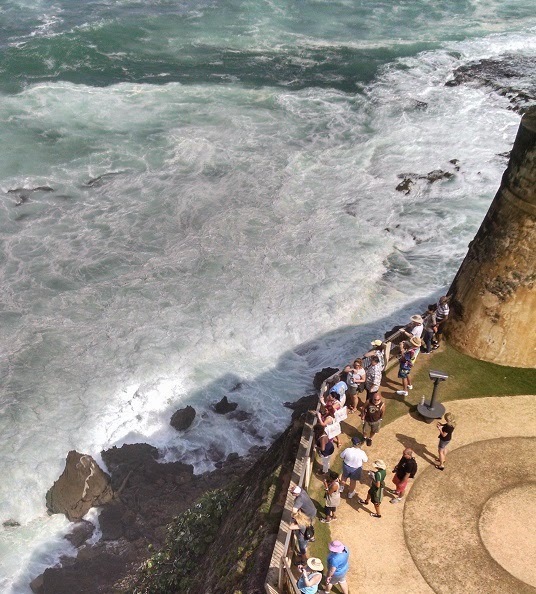 El Morro was built by the Spanish colonists to protect San Juan from attacking ships. 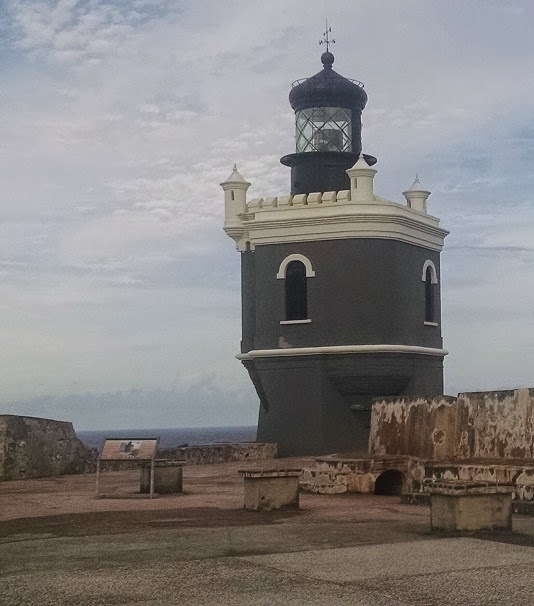 San Juan was the first major port for ships sailing from Spain to the new world, therefore it was very important. 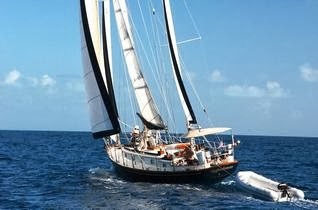 San Cristobal was built by the Spanish after the English and the Dutch managed to successfully attack San Juan by land. 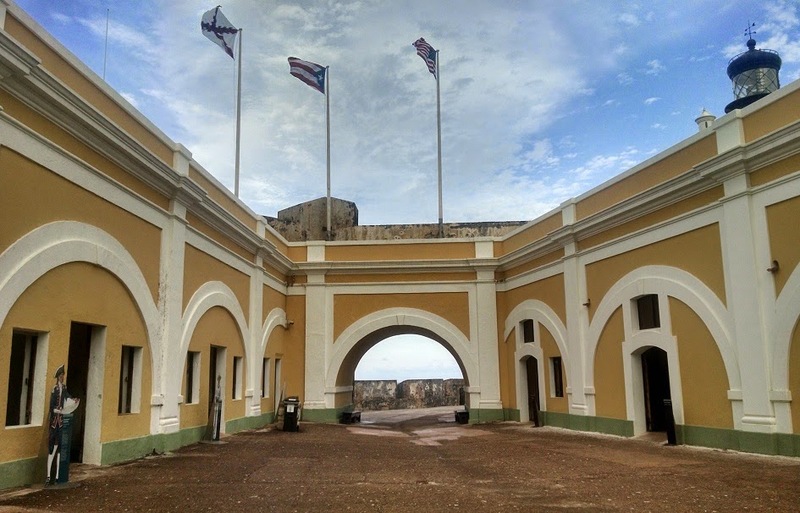 San Cristobal was meant to protect El Morro and the rest of San Juan from such attacks. 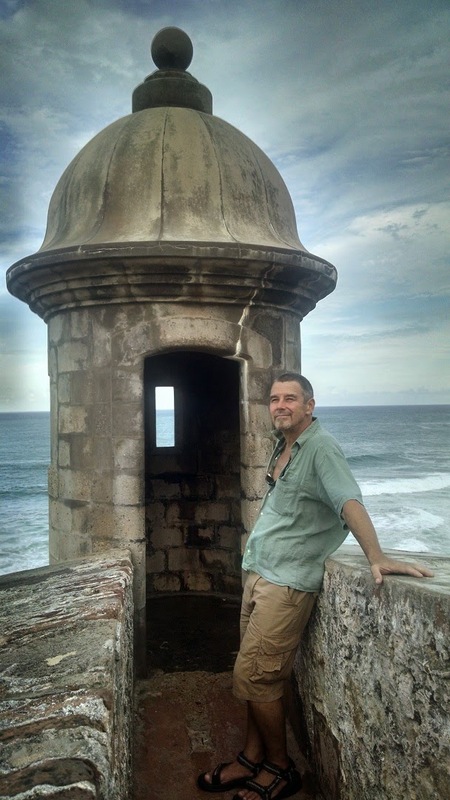 Construction started on Castillo San Felipe del Morro (called El Morro) in 1539, but wasn’t finished until 1790. 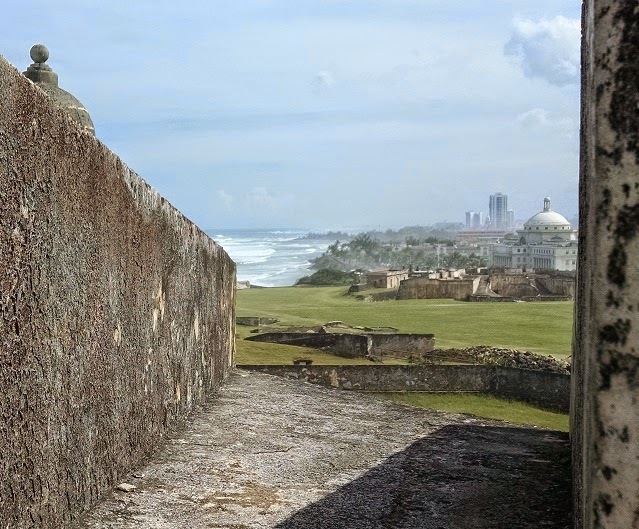 It was built when King Charles V of Spain wanted to protect San Juan by controlling its harbor. 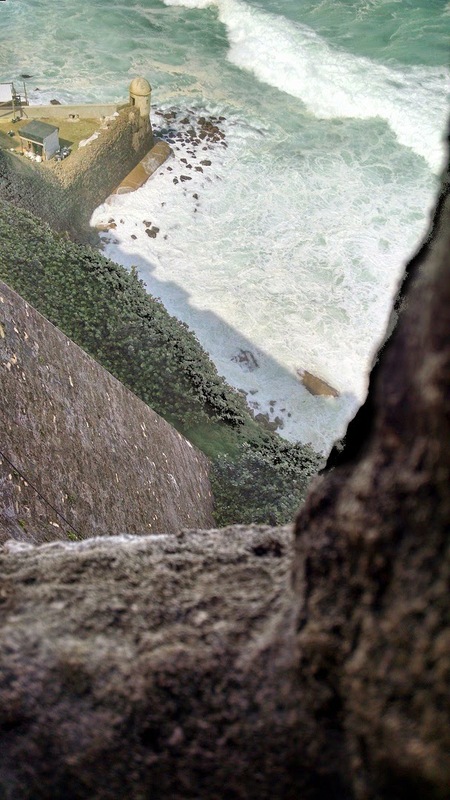 El Morro has six levels and rises 145 feet above sea level. 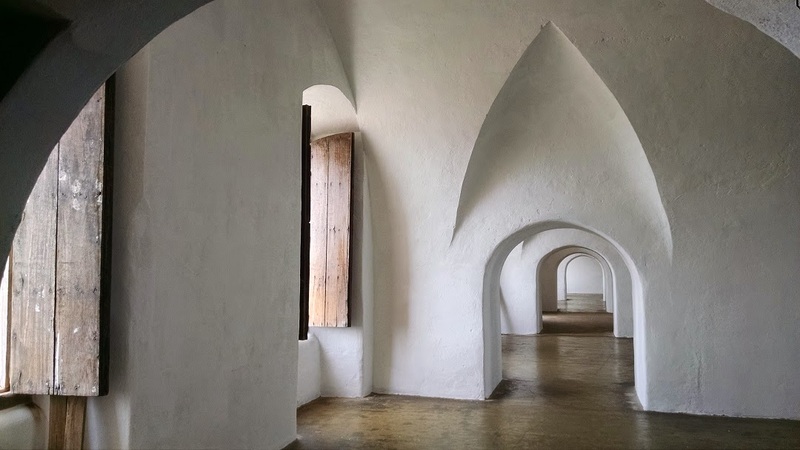 The walls were originally six feet thick, but they kept being added to, until, by the end of the 18th century, they were about 18 feet thick. 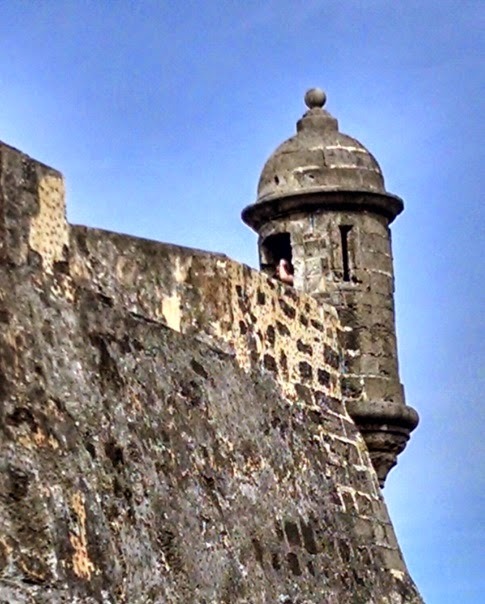 Along the outer walls are the garitas, or dome- covered sentry boxes These guard boxes have become a cultural symbol of Puerto Rico. left soon after because they were weakened by disease. 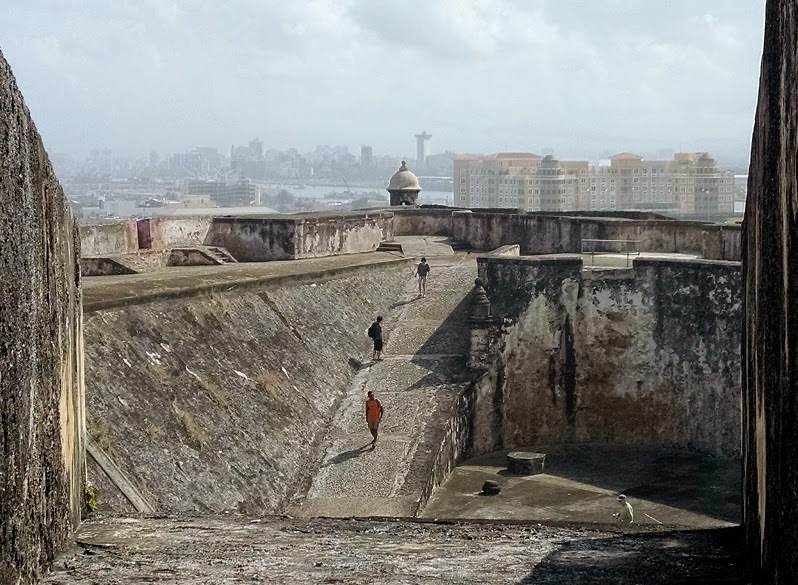 San Cristobal is the largest European fort in the Americas, spanning 27 acres. Construction started in 1634 and was finished in 1783. 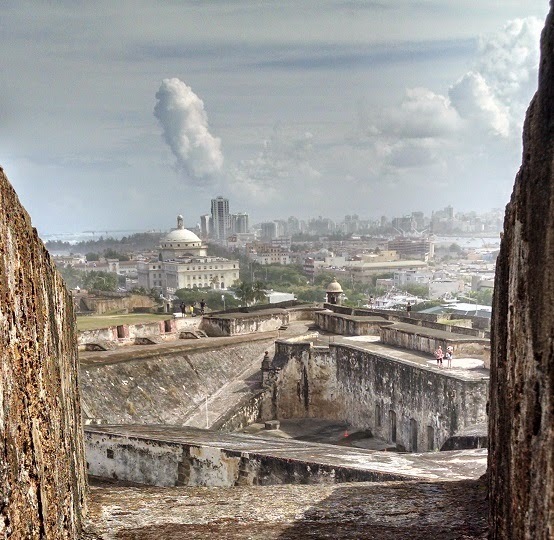 A fortified wall that was part of San Cristobal enclosed the whole city of San Juan. Much of the wall was demolished in 1897 to help traffic flow into and out of the city. 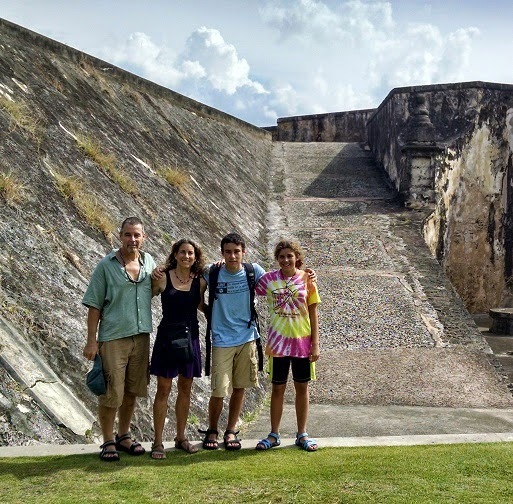 There are five cisterns under the main plaza which can hold 716,000 gallons of rainwater. This could sustain the fort for a year. 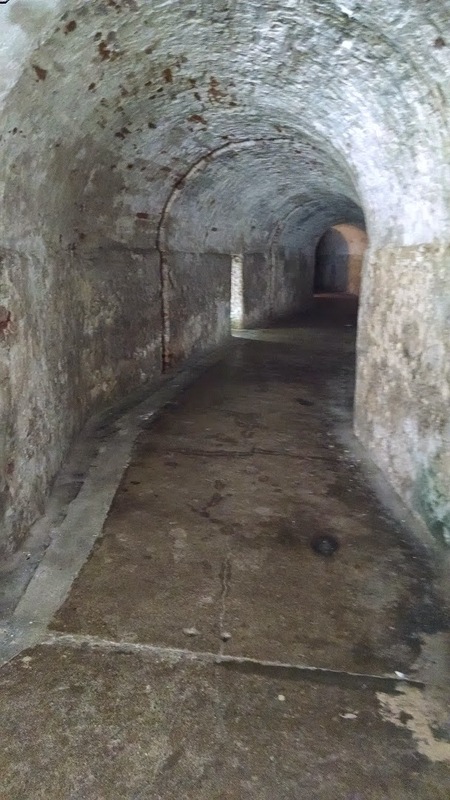 The main part of the fort is the hornwork. These are fortifications that resemble the horns of a bull, and were used to stop the possibility of an attack by land. 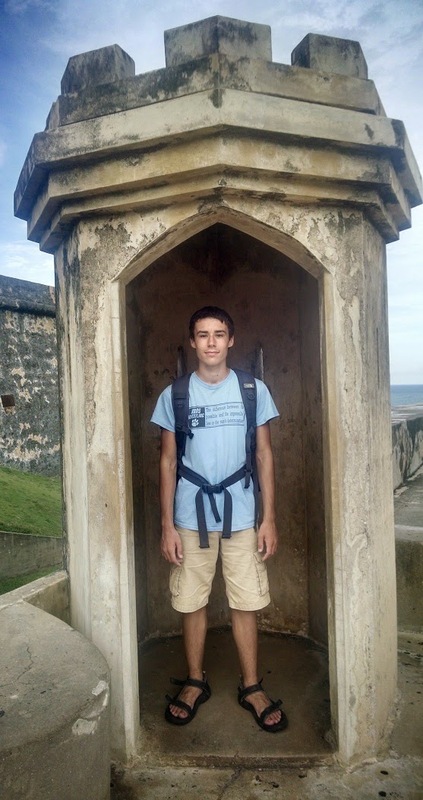 Past the hornwork are more fortifications, then a deep, dry moat. Past the moat is a big open field that attackers would have to cross to reach the fort.